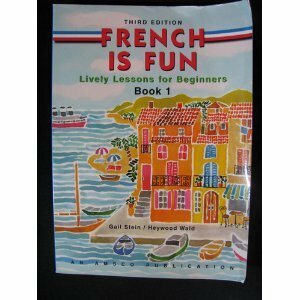 During my sophomore year I continued French through OHG, with the teacher Margaret Piper. For this second year we finished French is Fun: Book 1, and started French is Fun: Book 2. The class ran through both semesters, and met weekly. 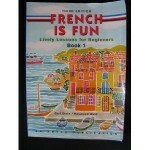 Our assignment each week was to study the current lesson and answer the questions and do the exercises in the workbook. In class, Margaret would answer any questions we had about the assigned materials. After questions, we would then practice the new vocabulary and complete written quizzes on the material. For the rest of the class Margaret would run through the next lesson and explain the general concepts and help us with pronunciation of the new vocabulary. 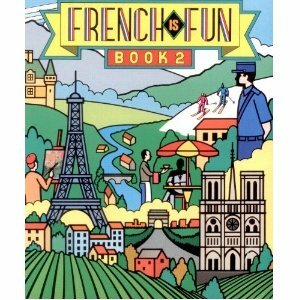 In class we would also occasionally play french games, and act out scenarios where we would write and memorize conversational dialog. By thoroughly reviewing the lessons, completing the assignments, and participating in class I learned more vocabulary, more about french grammar, how to conjugate regular IR and RE verbs, and the most basic past-tense construction.